If you’re looking to get your game on at a mobile casino that is safe, secure, fun and fair, Mrplay.com is right on the money. Boasting a host of incredible casino gaming options, supported by some of the world’s leading names in software development, as well as rewarding promotions, safe banking mechanisms and an exclusive VIP programme, this mobile gaming hub is one of the best. Let’s see what’s on offer. Mrplay.com is optimised to run on both mobile devices like smartphones and tablets, as well as PC and laptop platforms. Graphics and usability are in no way compromised, and the site looks swish, smooth and sophisticated – no matter where you’re accessing it from. Classic blacks and brilliant blues make for easy navigation, while the nifty tabs make finding your way around an absolute cinch. You know you’re playing at a reputable mobile casino when it proudly boasts the names of the international banking methods it’s partnered with, ensuring safe, quick and easy purchases and withdrawals. Mrplay.com supports a number of accredited names and methods, including debit and credit cards like Visa and Mastercard, web wallets like Skrill and NETELLER and even a handful of prepaid card solutions like paysafecard – for those quick and easy purchases. If you have a question or concern that needs a resolution, feel free to quickly and conveniently get in touch with Mrplay.com’s customer care line, either by email, live chat facility or phone call. The support hosts are available 7 days a week between 06:00 and 23:00 (GMT). The friendly and efficient team will be able to assist you with anything and everything from a forgotten username or password, to a bonus query, or even just a question about your favourite game. The gaming options at Mrplay.com are seemingly endless, supporting software from some of the biggest names in the biz. Take your pick from a massive range of options, including mobile slots, progressive jackpot slots, table games, scratch cards, video pokers and more. New games are added to the list all the time, so you will always have a new favourite to get excited about. Look forward to some sensational graphics and audio, as well as top class gameplay and payout potential. There’s even a Live Casino offering, in which HD streaming technology will see you being able to chat and interact not only with your croupier, but other players from around the world – in real time! 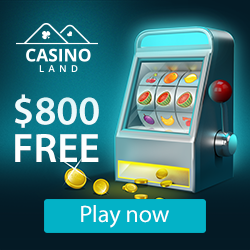 When you make the move to sign up at Mrplay.com, you’ll instantly qualify for the exceptionally enticing welcome offer of 100 free spins and a 100% match bonus up to $200 on your first deposit. Plus, there are even more spins to be unlocked on your second and third deposits. Mrplay.com will reward you with points every time you spin, wager or play any of the games, and there are 7 levels to progress through. Each level will see you getting closer to the special VIP programme, where you’ll be in line for some exceptionally exciting rewards and offers. There are loads of cool promotions and challenges to take part in as well, all of which ensure a whole lot of fun and a whole lot of winning potential. Myplay.com is, without a doubt, one of the best gaming hubs you can hold in the palm of your hand. Make the change, today, and get friendly with the man with the moustache!